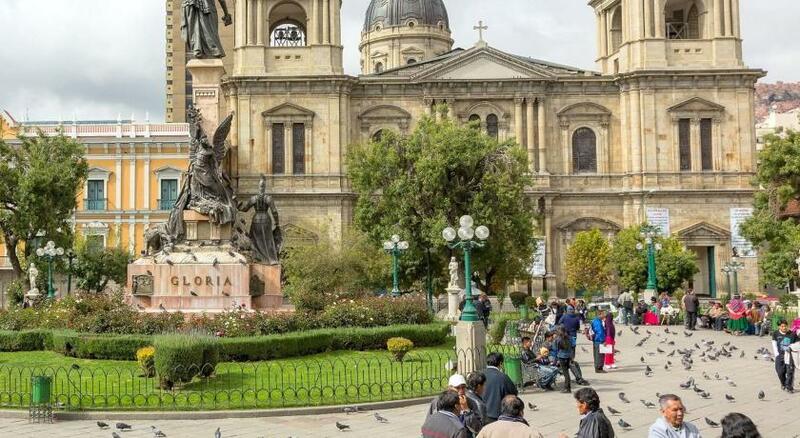 Good location - walkable to Plaza Murillo and San Francisco church. The staff was very nice and the courtyards are lovely. The location is central, even if the street looks a little dodgy if you arrive at night, it's safe. Helpful, friendly staff. Held our bags for us and always tried to meet our needs. Breakfast was adequate. Comfortable sitting area. Very good wifi at all times. Excellent location - close to everything but on a quiet street. The staff were really helpful and allowed us to check into the room early. A heater was provided on request and they arranged laundry for us. Rooms were large and warm (with the heater) and the courtyard was lovely. It was near to the center. A supermarket is in 5 minutes walk. The stuff was friendly, breakfast was simple with toast, good fresh bread and jam. Staff was nice and location was good near the center. The staff was very kind and they were always there to help us! It was very calm and charming. I love the beautiful terasse. Hostal Republica This rating is a reflection of how the property compares to the industry standard when it comes to price, facilities and services available. It's based on a self-evaluation by the property. Use this rating to help choose your stay! 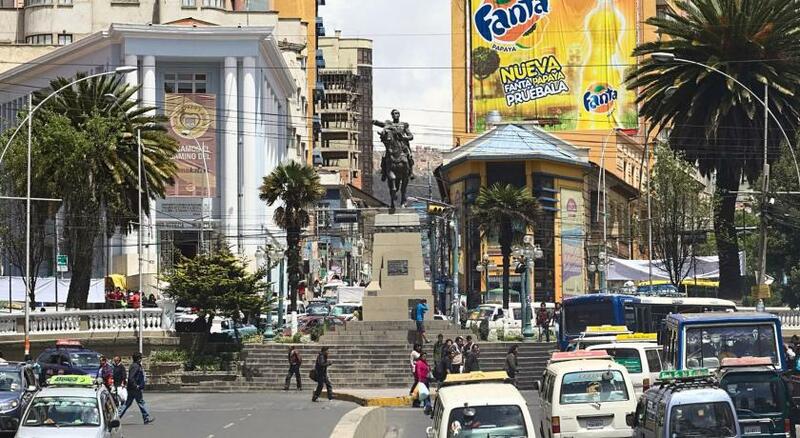 Located in the center of lively La Paz, Hostal Republica has its own travel agency offering a range of adventure sports and excursions. It features free Wi-Fi and complimentary parking. Guests at Republica Hostal can book a one day trek to Takesi Mountain or Sajema National Park. They can also enjoy rock and ice climbing on the Quimsa Cruz Mountains, or kayak on Coroico River. Rooms at the Republica have simple interiors with wooden floors and furnishings. They have private or shared bathrooms, and are equipped with cable TV. Guests can enjoy a daily continental breakfast with fresh fruits, natural juices and bread rolls. They can also dine in the restaurant, which serves homemade cuisine and tropical cocktails. Hostal Republica is conveniently located 30-minutes drive from La Paz Airport. When would you like to stay at Hostal Republica? This apartment features a private bathroom. House Rules Hostal Republica takes special requests – add in the next step! Hostal Republica accepts these cards and reserves the right to temporarily hold an amount prior to arrival. Paint was peeling from the room walls, the room smelled, the bathroom shower had duck tape deployed, and at 11pm at night no hot water was available. All was great for us. Be warned that one rm we were shown I would not have stayed in. Ask to see the room first, if you can. Shower was a little small and furniture outdated but I think they are currently undergoing renovations to improve this. Would stay again if in La Paz! The rooms are really dark and cold. and the beds were much too soft for us and not comfortable. We tried to stay out of the hostel most of the time. The shared bathroom seemed a little aged and used. Very old and run down hostel. It must have been nice years ago but now it needs renovation. For that price you definitely find something better. The breakfast was basic but it was enough to begin the day. As a former residence of one of Bolivia's many presidents it offered an unique atmosphere with two patios and fitting furniture. The staff were very friendly and helpful, we could store our luggage at 6 o'clock in the morning after an early arrival in La Paz. It probably used to be a beautiful hotel, but the rooms need work. Cracked, peeling paint, not very clean. Bedspreads, chairs, rugs, etc. stained and old. The city is very cold at night and this place has no heating. It is doable, but you think twice about showering! The tour of Tiwanaku organised by the attached agency was uninspired, I recommend doing a bit more research. Very central, but quiet street; lovely old building; friendly & helpful staff.